Events - Dowpol Chemical International Corp. In Dowpol media center, you can look at our news and latest news about Dowpol important recent activities. Cosmetic The Personal Care and Homecare Ingredients (PCHi) trade show is China's #1 Sourcing Platform for the Global Personal Care Industry. The Sixth Aerosol and Metal Containers Exhibition will be held from November 7 to 9,2013 in Ningbo International Convention And Exhibition Center of Zhejiang. The Asia-Pacific Base Oil, Lubricant & Grease Conference is the meeting for C-level executives in the downstream oil industry. 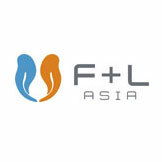 The Personal Care and Homecare ingredients (PCHi) event is set to open its doors to industry professionals in February 2012 with China and the emerging markets a focal point of the show.